The multilingual Duwamish Boat tour was designed for limited English proficient guests to learn more about the Port of Seattle, and its work in Elliott Bay and on the Duwamish. 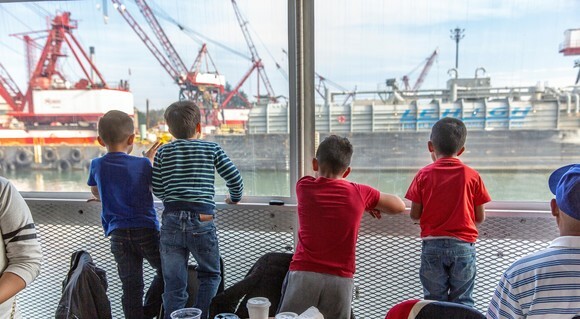 The Port of Seattle recently conducted two events that encourage public awareness about the Duwamish River and surrounding habitat, and about the work of the Port of Seattle. Nearly 200 guests joined the Port for its first-ever multilingual boat tour of Elliott Bay and the Duwamish River. The Port offered Vietnamese, Cambodian, and Spanish interpretation on board. The program was designed to be accessible for limited English proficient guests, who often cannot participate in these types of events due to a language barrier. Port staff were onboard to answer guests’ questions with the help of language interpreters, making sure that everyone had the chance to get more information. Keeping children safe is a priority at Shilshole Bay Marina. Children under 12 years of age are not permitted on the docks at any time without a parent or adult supervision. Life jackets are recommended for children on the docks as well as non-swimmers. 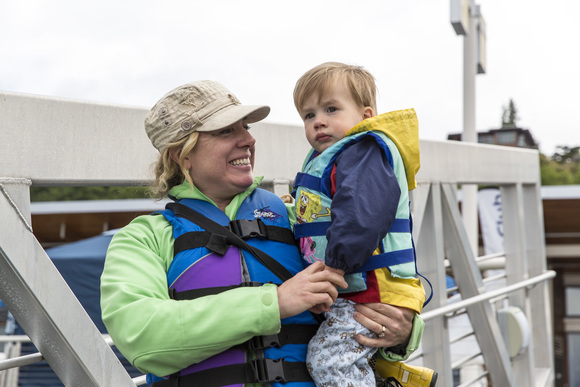 Shilshole Bay Marina in partnership with the Boat US Foundation Life Jacket Loaner for Kids Program offers moorage customers and marina visitors the option to check out a childrens life jacket for free from the Shilshole Bay Marina Office. Valid photo ID is required. The Port of Seattle supports the expansion of light rail as essential for our region’s future. Transit provides options, improves community and environmental health, and makes our economy more efficient. Done right, transit improves mobility for commuters and freight. 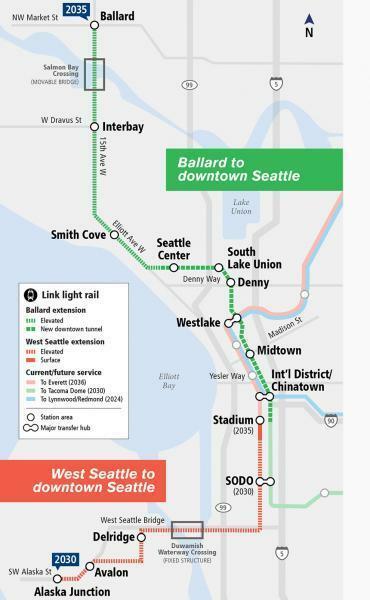 The Port of Seattle and Northwest Seaport Alliance submitted comments on potential routes and stations for the West Seattle and Ballard Link Extensions to Sound Transit’s Elected Leadership Group. The Port looks forward to working with all interested parties to develop solutions that advance all of our regional priorities. Seattle artist Iskra Johnson worships the useful, the imperfect, and the old. 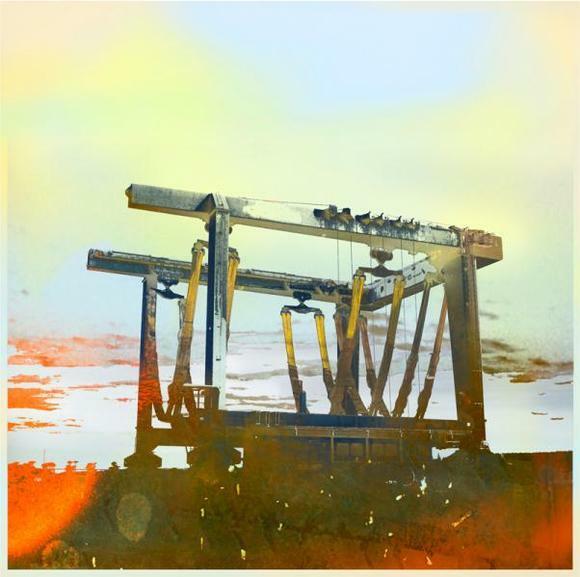 Her colorful and striking mixed media pieces pay homeage to the maritime industry of the Pacific Northwest: the iconic structure of the shipping cranes at the Port of Seattle terminals, the minimalist geometry of Duwamish River barges, the grandeur of the grain terminal at Centennial Park, and the patina of age and history on the hulls of ships. Shilshole Bay Marina Office is open Monday - Saturday, 8:00 AM - 4:30 PM. Email sbm@portseattle.org or call (206) 787-3006 for assistance. Starting January 1, 2019, the outlets on lamp poles in the parking lot will be locked. Marina customers who would like to charge their vehicles can apply for a permit and access key at the marina office. There will be a $100 monthly charge for access. The charge is based on 40kwH charge per day for 30 days a month. Due to the administrative work required to bring customers into insurance compliance once their certificate period has expired, we are implementing an Insurance Non-Compliance Fee. Customers who fail to comply after being advised that their proof of insurance has expired may be charged an administrative fee of $50 each month insurance remains out of compliance. Continuing violations are grounds for termination of moorage. Late fees will be adjusted on January 1, 2019. Statements covering fees in tariff #6, as issued by the Port, are due and payable on the due date. Invoices listed on a statement that are past due may be subject to a late fee equal to the greater of $25 or 10% per month on invoices $100 or more. In preparation for Winter, please consider removing your dinghy from the water if you will not be actively using it. Moorage customers should monitor their dinghies to keep them free of water or other accumulation. Any dinghy that staff must pump out to prevent sinking will be subject to a boat pumping fee. Deck the Hulls, Friday, December 7, 5:00 - 7:30 pm - Shilshole Bay Marina Office is hosting their annual Deck the Hulls Open House Holiday Event. Join staff for an evening filled with holiday celebration and customer appreciation. 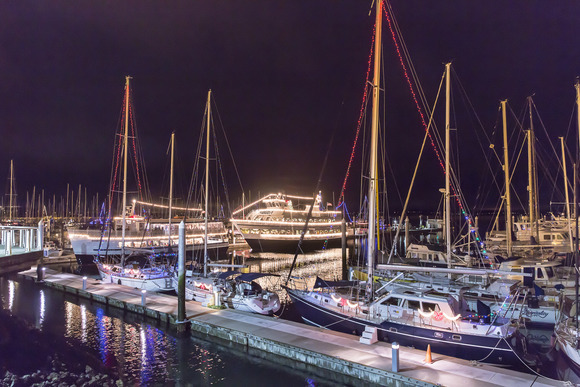 Argosy Christmas Ship Festival, Shilshole Departures on December 15 - A holiday celebration that has been a Northwest tradition since 1949.The Spirit of Seattle is decorated with hundreds of shimmery white lights and sails to different Puget Sound waterfront communities. Seattle Boat Show January 25 through February 2 - Visit the Port of Seattle booth at CenturyLink Field Event Center and Bell Harbor Marina for the in-water portion of the 2019 Seattle Boat Show. 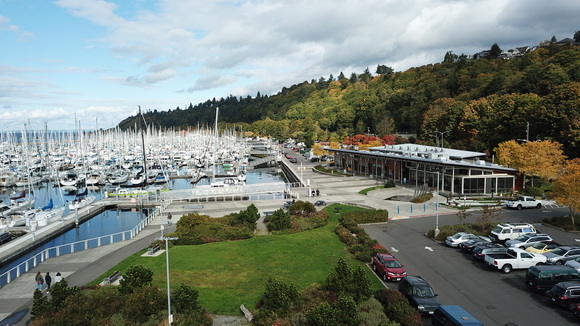 Port 2 Port Promotion through December 31 - Stay one night in guest moorage at Bell Harbor Marina and one night at Shilshole Bay Marina in 2018 and receive a FREE collapsible cooler! Groups and yacht clubs are encouraged to call in advance.